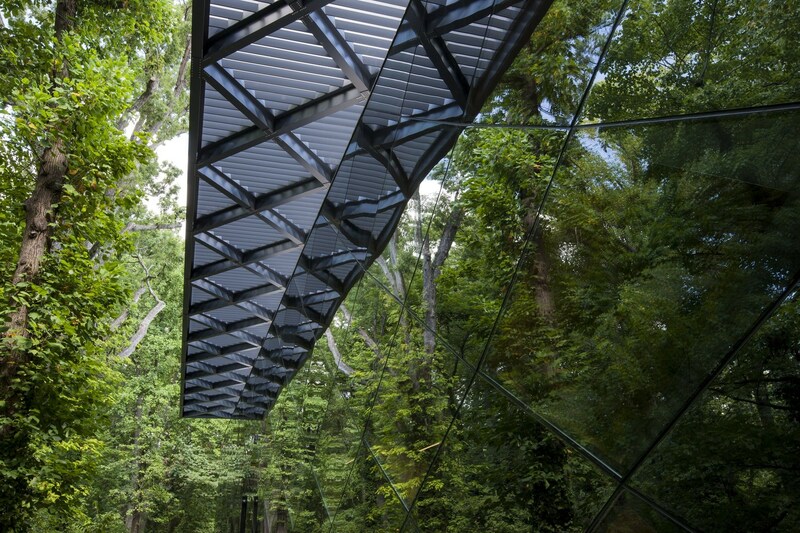 If you’ve heard the term “glass pavilion” before, well, this certainly fits the bill. 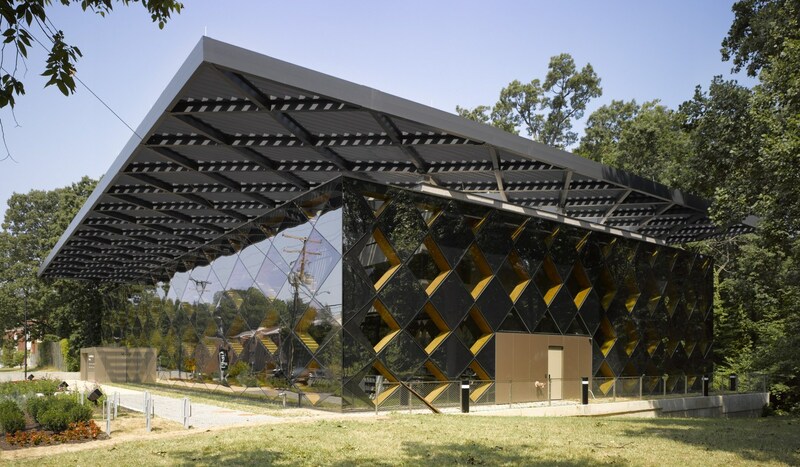 Lots of glass and even mirrored glass makes this diamond-patterned box, along with its dramatic and likewise diamond-patterned roof that appears to float above it all, a striking object nestled into its wooded site. The purpose of all this pizzazz is for a neighborhood library. 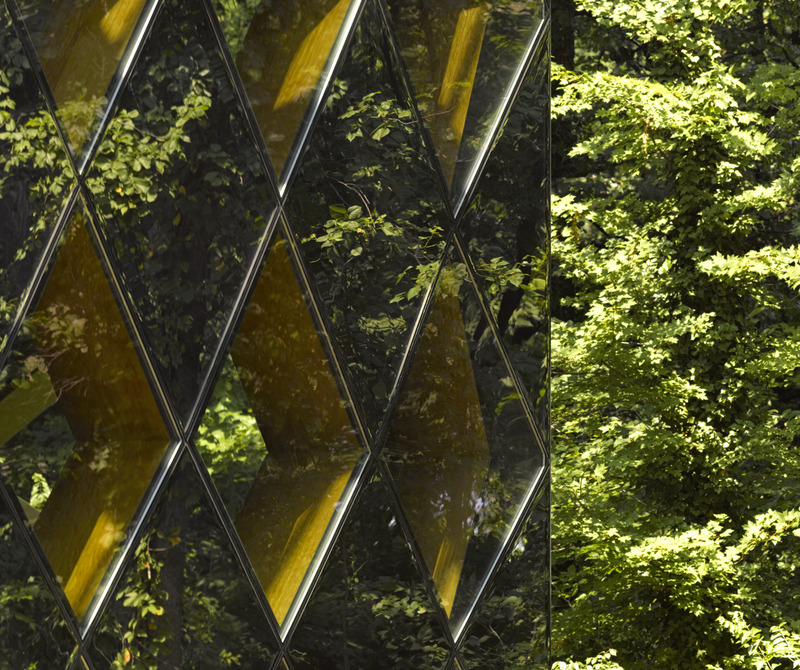 Once inside, the drama of the glazed exterior transitions to something much more sedate. 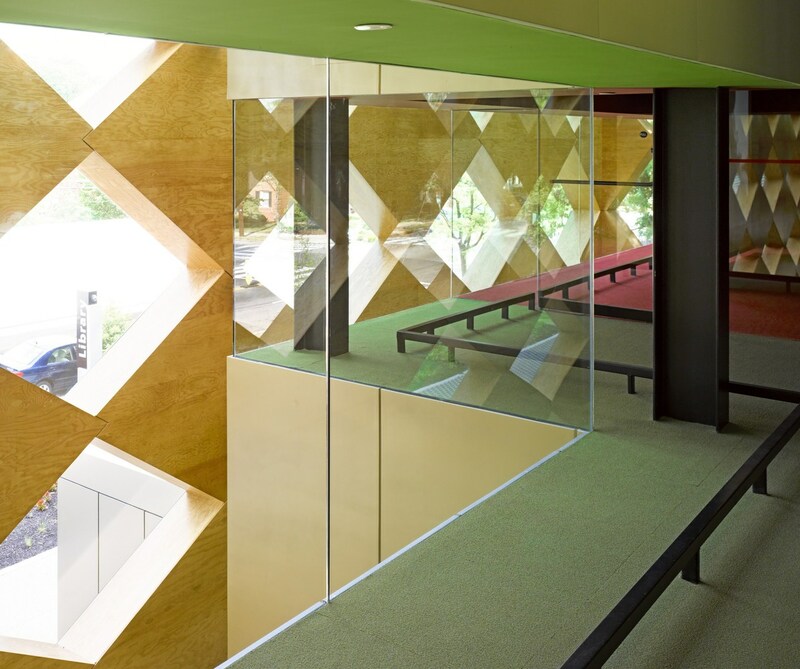 I love how the deep wood boxes that make up the diamond pattern becomes almost quilt-like as it envelops the stacks and reading areas. And by pulling back the second floor in various places, these large atriums get created that let that mosaic strut its stuff, further enhanced by the luminous ceiling. It’s all about the outer wall (and roof) here, and that’s alright. With its nifty design there’s a lot of fun plays between light and shadow, transparency and solidity, outward views and inward texture. 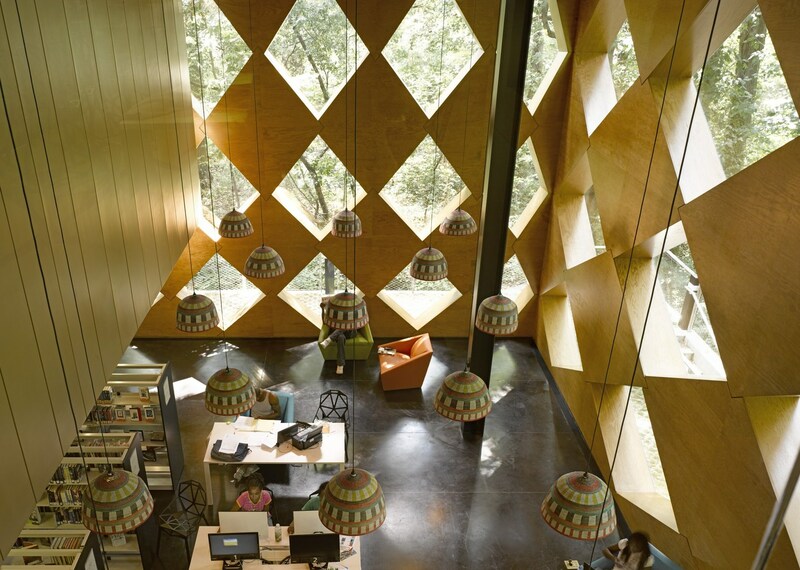 As a temple for reading and community gathering, it’s suitably exciting without detracting from the quiet and comfy needs of the readers and gatherers. Cool stuff. 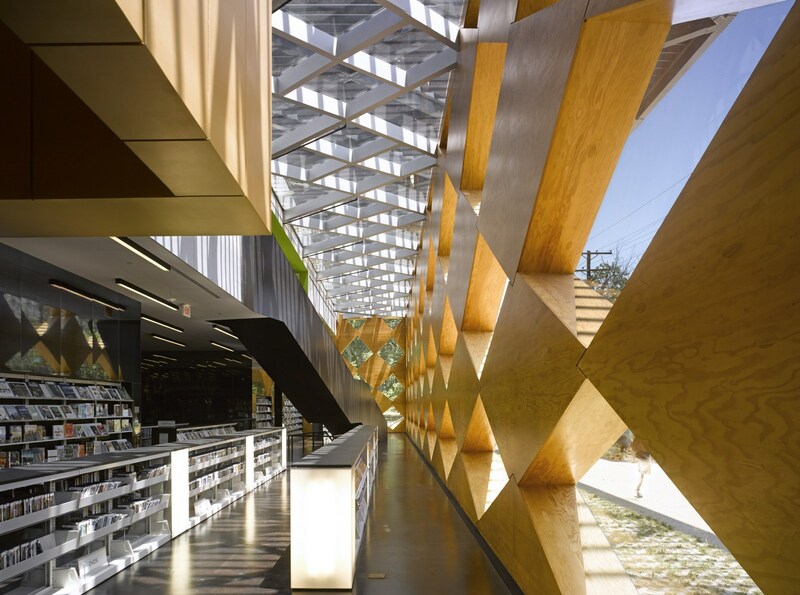 The Francis A Gregory Library by Adjaye Associates. You are currently browsing the Lynx Thoughts blog archives for the day Monday, January 28th, 2019.